The Photon Q 4G LTE is a solid effort from Motorola. Sprint customers looking for the QWERTY, 4G, Android 4.0 combo will be mostly satisfied. The biggest weakness of the Photon Q is the voice performance. It simply doesn't match the high-quality calling powers that I expect from Motorola devices. For those who make few calls and mainly connect via email, SMS, Facebook, or other tools that make use of the keyboard, perhaps this can be overlooked. The other weakness is the camera, which took disappointingly fuzzy images. 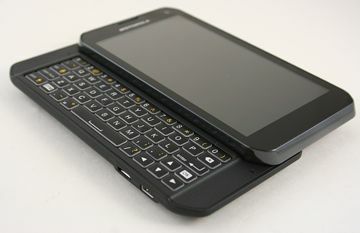 The physical QWERTY keyboard, however, is one of the best Motorola has produced and the ColorBoost display brings content to life on the Photon's screen. Add to those the Photon's flexible menu system and Android 4.0 platform, and the Photon nearly hits the mark.